A singularity work exhibited at the Dust bar, Clerkenwell. 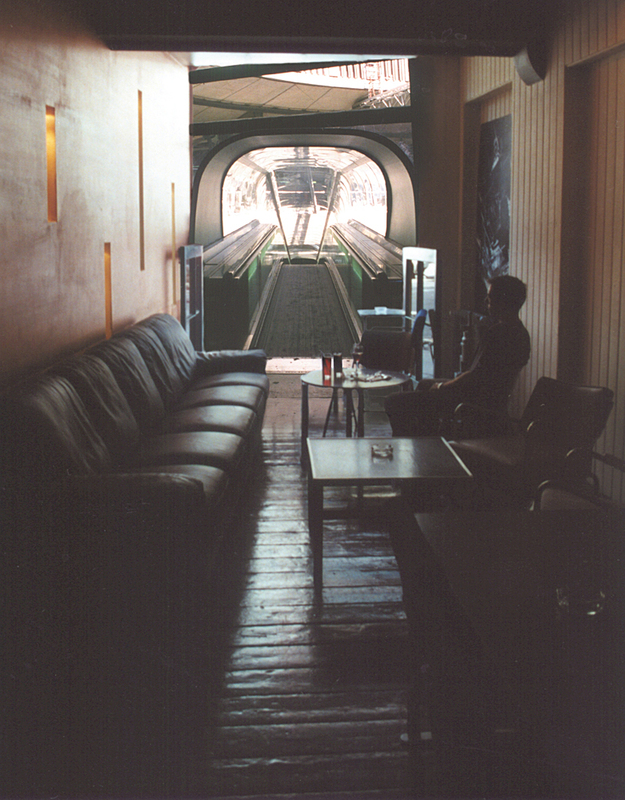 Exhibited at the Dust bar, Clerkenwell, London. The escalator is from Charles de Gaulle Airport, Paris.